What Does Code P0608 Mean? 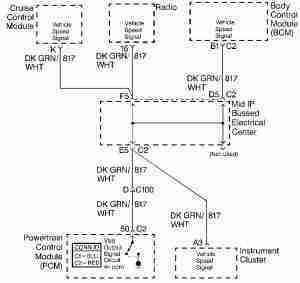 A number of vehicle systems depend on vehicle speed. Some of them are obvious, such as anti-lock braking or cruise control systems, while others may be less so, such as the entertainment or climate control systems. For example, if you set the cruise control at 55 mph, the CCS monitors vehicle speed to maintain your desired speed. Entertainment systems with volume auto-leveling use vehicle speed to determine how much to increase or decrease the volume to compensate for expected road and wind noise levels. These systems use the vehicle speed signal (VSS) signal to calculate vehicle speed, but do not confuse this with the vehicle speed sensor from the transmission or that generated by the wheel speed sensors (WSS). The VSS these systems use is calculated and generated in the ECM (engine control module) itself, based on transmission and WSS sensors. 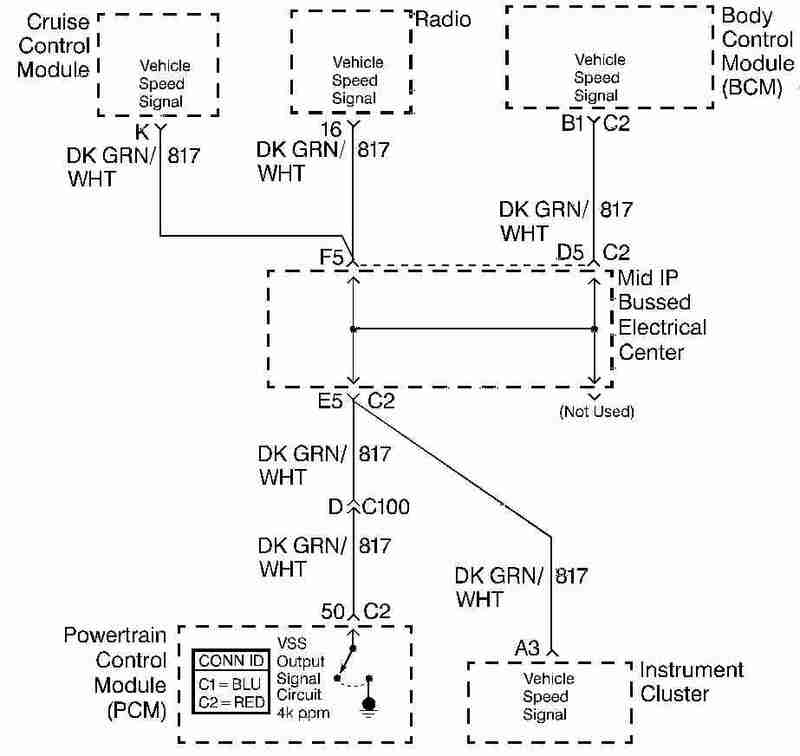 Indeed, the ECM depends on these for its own calculations, but transmits its own VSS to other modules in the vehicle. What are the common causes of code P0608 ? Depending on year, make, and model, DTC P0608 may have number of causes. Here are some of the most common. Harness and Connector Problems – Harness damage, due to improper installation, poor repairs, or collision, can interrupt communications. Water entry and corrosion can interrupt communications. Low System Voltage – If the battery is weak, usually below 9.5 V, practically nothing will work properly. Load test the battery and check for corrosion in the battery cables. Loose or missing control module ground straps can also cause this problem. ECM Fault – Internal problems in the ECM can interrupt communications. 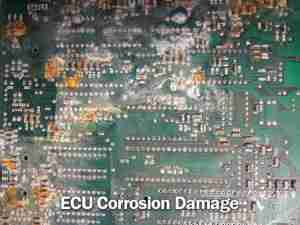 We’ve seen internal corrosion due to damage and water entry, as well as damage caused by external problems, such as the aforementioned harness and voltage problems. What are the symptoms of code P0608 ? If the ECM detects a problem with its own VSS output, you will most likely experience problems with any system that depends on it. Some vehicles lock out engine starting, while others may exhibit problems ranging from incorrect idle speed or poor transmission gear engagement to multiple warning lights and system malfunctions. Cruise control, automatic climate control, electronic stability control, adaptive suspension, or anti-lock braking, to name a few, may be locked out. How do you troubleshoot code P0608 ? It does one good to remember that this particular DTC, as with the rest of the P060x series, refers to a communications failure between the ECM and other modules. It does not refer to a specific sensor failure, but may refer to a circuit problem or a fault in the ECM itself. Make sure you have access to an up-to-date model-specific EWD (electrical wiring diagram) before continuing with diagnosis. 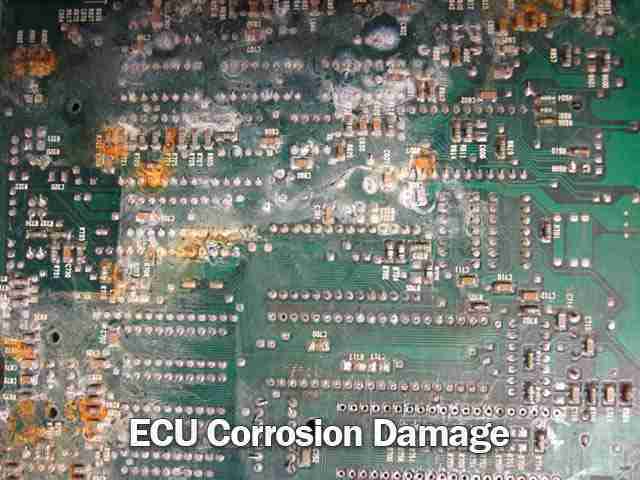 Before condemning the ECM, be sure you have eliminated circuit and voltage problems first. Additionally, you may have any number of concurrent DTCs in whatever systems rely on the VSS, but do not attempt to diagnose any of these DTCs until you have eliminated DTC P0608 and any other communication issues first. Initial Check – Start by checking all fuses, junction boxes, and wiring harness for obvious faults. Repair as necessary. Be sure all ECM and other module connectors are seated properly. Be on the lookout for bent pins, corrosion, and evidence of water entry. Speedometer Check – Most modern vehicle instrument clusters base the speedometer reading off the VSS, but check your repair manual and EWD to be sure. If so, clear codes and take your car for a test drive. If the speedometer works, then you know you have a good VSS, at least at that moment. Suspect an intermittent issue, typically related to harness damage, poor electrical connections, or corrosion. Circuit Check – Turn the key off and disconnect the ECM. Turn the key on and check for voltage at the VSS pin in the connector. You should measure over 9.5 V, using your digital multimeter (DMM). If there is insufficient voltage, check for excessive resistance in the VSS circuit or a source voltage problem. If the battery is weak, you will not get good communication voltage. Similarly, corrosion, broken wires, or poor pin contact can all reduce voltage, interfering with the VSS. If there is sufficient voltage, then you may have an ECM fault. This is not common, and also expensive, so have a professional double-check your work before condemning the ECM and ordering a replacement. If you replace a faulty ECM, be sure that any voltage or circuit problems have been repaired. Otherwise the replacement ECM will not fix the problem, or may be damaged by the existing problem. None found. Ask a question about P0608. I have MB ML400 CDI 2003 W163. What there is to be done if I get error code P0608. Base trouble started when there was a leak in fuel system and it got air in. Then I started the battery to end. Repaired fuel leak, loaded battery but the engine is not starting and I got plenty of fault codes: P0112, P0113, P0244, P0248, P0607 and P0608. I think that if I get rid of this 608 I will get engine running again normally. Can please help, the car, Isuzu KB 300 Dtec can only reach a rev count between 2 and 3!